Humanity has struggled to survive through the millennia in terms of balancing population size with food supply. The same is true now, but population numbers have been soaring for over a century. The limiting factor has been hidden, but this factor – oil and natural gas, or petroleum – is close to or beyond its peak extraction. Without ample, free-flowing petroleum, it will not be possible to support a population of several billion for long. In terms of its effects on daily human life, the most significant aspect of fossil-fuel depletion will be the lack of food. ‘Peak oil’ is basically ‘peak food’. Modern agriculture is highly dependent on fossil fuels for fertilizers (the Haber Bosch process combines natural gas with atmospheric nitrogen to produce nitrogen fertilizer), pesticides, and the operation of machines for irrigation, harvesting, processing, and transportation. Without fossil fuels, modern methods of food production will disappear, and crop yields will be far less than at present. Crop yields are far lower in societies that do not have fossil fuels or modern machinery. We should therefore have no illusions that several billion humans can be fed by ‘organic gardening’ or anything else of that nature. Over the next few decades, therefore, there will be famine on a scale many times larger than ever before in human history. It is possible, of course, that warfare and plague will take their toll to a large extent before famine claims its victims. The distinctions, in any case, can never be absolute: often ‘war + drought = famine’3, especially in sub-Saharan Africa, but there are several other combinations of factors. Although, when discussing theories of famine, economists generally use the term ‘neo-malthusian’ in a derogatory manner, the coming famine will be very much a case of an imbalance between population and resources. The overwhelming cause of the imbalance and famine will be fossil-fuel depletion, not government policy (as in the days of Stalin or Mao), warfare, ethnic discrimination, bad weather, poor methods of distribution, inadequate transportation, livestock diseases, or any of the other variables that have often turned mere hunger into genuine starvation. Mankind is always prey to its own ‘exuberance’, to use Catton’s term2. That has certainly been true of population growth. In many cultures, ‘Do you have any children?’ or, ‘How many children do you have?’ is a form of greeting or civility almost equivalent to ‘How do you do?’ or, ‘Nice to meet you’. World population growth, nevertheless, has always been ecologically hazardous. The destruction of the environment reaches back into the invisible past, and the ruination of land, sea, and sky has been well described if not well heeded. But what is even less frequently noted is that with every increase in human numbers we are only barely able to keep up with the demand: providing all those people with food and water has not been easy. We are always pushing ourselves to the limits of Earth’s ability to hold us. Even that is an understatement. No matter how much we depleted our resources, there was always the sense that we could somehow ‘get by’. But in the late twentieth century we stopped getting by. It is important to differentiate between production in an ‘absolute’ sense and production ‘per capita’. Although oil production, in ‘absolute’ numbers, kept climbing — only to decline in the early twenty-first century — what was ignored was that although that ‘absolute’ production was climbing, the production ‘per capita’ reached its peak in 19791. Future excess mortality can therefore be determined ― at least in a rough-and-ready manner ― by the fact that in modern industrial society it is oil supply that determines how many people can be fed. An increase in oil production leads to an increase in population, and a decrease in oil production leads to a decrease in population. 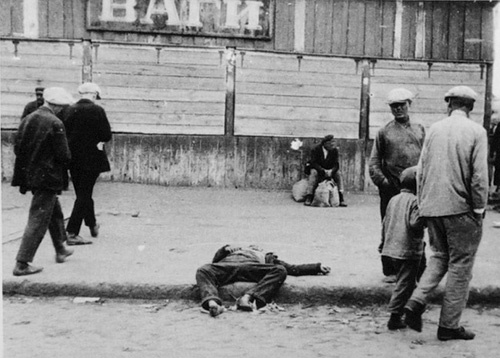 Passers-by and the corpse of a starved man on a street in Kharkiv during the famine in Ukraine, 1932. 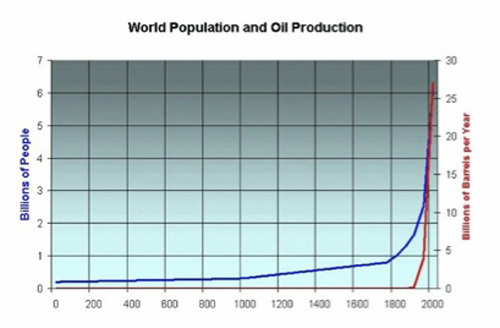 It is quite possible, however, that the decline in population will not exactly parallel the decline in oil. In other words, the peak of the population curve may well be a few years later than the peak of the oil curve. People might simply live with less oil per capita for a few decades, i.e. they will just sink further into poverty, with greater problems of malnutrition. In fact, as long ago as 1972, the first edition of The Limits to Growth in its Figure 35, ‘World Model Standard Run’, showed a 40-year gap between the peak production of food per capita and the peak of population7. Many of those annual 120 million will not actually be deaths; famine will cause a lowering of the birth rate. This will sometimes happen voluntarily, as people realize they lack the resources to raise children, or it will happen involuntarily when famine and general ill health result in infertility4. 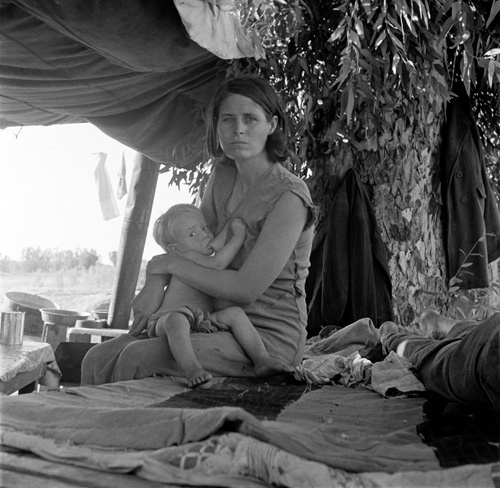 In most famines the number of deaths from starvation or from starvation-induced disease is very roughly the same as the number of lost or averted births3,4. In Ireland’s nineteenth-century famine, for example, the number of famine deaths was 1.3 million, whereas the number of lost births was 0.4 million. The number of famine deaths during China’s Great Leap Forward (1958-1961) was perhaps 30 million, and the number of lost births was perhaps 33 million. The ‘normal’, non-famine-related, birth and death rates are not incorporated into the above future population figures, since for most of pre-industrial human history the sum of the two — i.e. the growth rate — has been nearly zero. If not for the problem of resource-depletion, in other words, the future birth rate and death rate would be nearly identical, as they were in pre-industrial times. And there is no question that the future will mean a return to the ‘pre-industrial’. Nevertheless, it will often be hard to separate ‘famine deaths’ from a rather broad category of ‘other excess deaths’. War, disease, global warming, topsoil deterioration, and other factors will have unforeseeable effects of their own. Considering the unusual duration of the coming famine, and with Leningrad5 as one of many precursors, cannibalism may be significant; to what extent should this be included in a calculation of ‘famine deaths’? 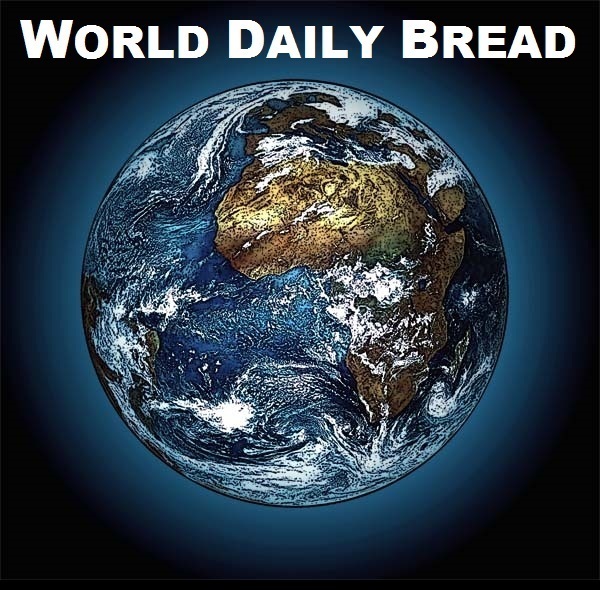 It is probably safe to say, however, that an unusually large decline in the population of a country will be the most significant indicator that this predicted famine has in fact arrived. In modern industrial society it is oil supply that determines how many people can be fed. The news of the coming famine might not be announced with sufficient clarity. Famines tend to be back-page news nowadays, perhaps for the very reason that they are too common to be worth mentioning. Although Ó Gráda speaks of ‘making famine history’6, the reality is that between 70 and 80 million people died of famine in the twentieth century, far more than in any previous century4. On the other hand, there are elements of optimism that may need to be plugged in. For one thing, there is what might be called the ‘inertia factor’: the planet Earth is so big that even the most catastrophic events take time for their ripples to finish spreading. An asteroid fragment 10 kilometers wide hit eastern Mexico 65 million years ago, but enough of our distant ancestors survived that we ourselves are alive today to tell the story. Specifically, we must consider the fact that neither geography nor population is homogeneous. All over the world, there are forgotten pockets of habitable land, much of it abandoned in the modern transition to urbanization, for the ironic reason that city dwellers regarded rural life as too difficult, as they traded their peasant smocks for factory overalls. There are still areas of the planet’s surface that are sparsely occupied although they are habitable or could be made so, to the extent that many rural areas have had a decline in population that is absolute, i.e. not merely relative to another place or time. By careful calculation, therefore, there will be survivors. Over the next few years, human ingenuity must be devoted to an understanding of these geographic and demographic matters, so that at least a few can escape the tribulation. Neither the present nor future generations should have to say, ‘We were never warned’. 2. Catton, William R., Jr. Overshoot: The Ecological Basis of Revolutionary Change. Champaign, Illinois: University of Illinois Press, 1982. 5. Salisbury, Harrison E. The 900 Days: The Siege of Leningrad. Cambridge, Massachusetts: Da Capo Press, 2003. 6. Woodham-Smith, Cecil. The Great Hunger: Ireland 1845-1849. New York and Evanston: Harper & Row, 1962.